Mitzi is currently a manager at Pedelahore & Co., LLP and has been with the firm since 2004. Her specialty consists of advising closely held businesses in all aspects of their operation including accounting system design, taxation, internal controls, etc. Mitzi earned her Bachelor of Science in Business Administration from University of Louisiana at Lafayette in 1997 and attended the Pre-CPA program at University of New Orleans in 2004. She is a Certified QuickBooks Pro Advisor specializing in start-up and closely held businesses. She is a member of the Society of Louisiana Certified Public Accountants and the American Institute of Certified Public Accountants. She also serves as Treasurer of Metairie Academy Co-Op Club and participates in various community activities. Brian Mora has over 14 years of accounting experience. 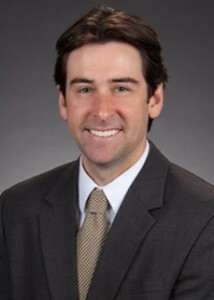 He started his career at a Big 5 accounting firm in Atlanta, spent several years working for one of the largest accounting consulting firms, and most recently was a CFO and partner with an oil and gas company. In Atlanta, Brian worked for two national accounting firms, most recently specializing in business valuations and corporate acquisitions, before moving back home in 2012. Brian was a founder and CFO of Aquasize, LLC, a frac sand mine servicing oil and gas drilling companies until the sale of company in 2015. Diane is an audit manager. 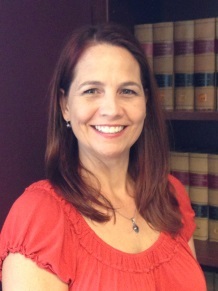 She joined our firm in 2002 with over 20 years accounting experience. Her practice areas include auditing and financial reporting on a variety of industries with an emphasis on Unions and Union related entities. She has worked with these special entities and is very familiar with the operations and filing requirements, as well as the reporting guidelines and other provisions of the law with which these entities must comply. Diane earned her Bachelor of Science degree in Accounting from the University of New Orleans in 1977. She is a member of the Louisiana Society of Certified Public Accountants and the American Institute of Certified Public Accountants.